For the past few months, we’ve been writing with excitement about the all-new 2019 Volkswagen Jetta, but this time around we decided to do something a bit different and let you see it in action. To that end, we’ve scoured the internet to find a few of the most useful video reviews of the 2019 Jetta that are out there. So without further review, on to the videos. The new 2019 Volkswagen Jetta is available right now at our Tampa VW dealership, so if you want to be among the first to experience it, today is your chance. Unrivaled selection – Browse the most expansive selection of the Jetta and other VW models that you’ll find anywhere in Tampa. Unmatched specials – We’re committed to helping you get behind the wheel for less, and to accomplish this we offer the most competitive lease and financing specials in the region. Unparalleled satisfaction – We believe that you should always receive friendly, expert service that answers all of your questions while providing an enjoyable shopping experience. That’s exactly what our staff delivers. So drop by Reeves Volkswagen today, and take the new 2019 VW Jetta for a whirl. See how Volkswagen has taken the Jetta into the future. 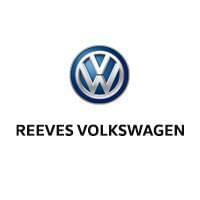 Check out our selection of the 2019 Volkswagen Jetta online, or call Reeves Volkswagen at (855) 486-7684 today.